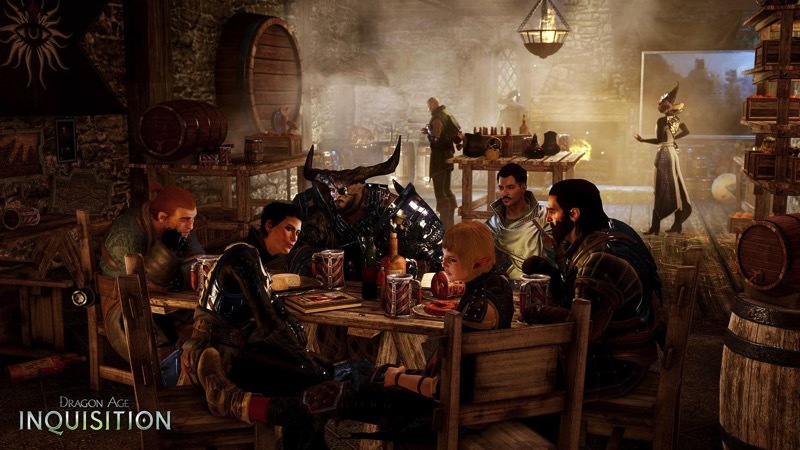 I was surprised by how much I liked the tavern songs in Dragon Age: Inquisition. They were so varied, ranging from upbeat numbers to tune that would make me cry. Now Bioware is giving them away for free, with a little something extra, too. Over on the Dragon Age: Inquisition website, they’ve been getting lots of queries from fans about where they can get the tavern songs. Not only are they letting you download the songs free of change, there’s a little something extra. As an added bonus for all of you musically inclined folks, we’re also releasing the sheet music for each track. Now you can perform your own versions of these haunting tavern tunes—and when you do, you should enter our Fan Celebration Contest! The download is free until 9 February, so grab it while you can. After that, you’ll need to spend money to listen, or, you know, visit the tavern in the game. They aren’t too spoiler-icic, so if you haven’t played or completed the game you can probably download and listen to a few tunes without ruining anything. That said, they take on a lot more meaning when you hear them in the tavern first. I think my favorite is track four, Enchanters. So haunting and beautiful. I like this a lot – it’s nice to see the fan support. They probably didn’t imagine that the tavern songs would be so popular, but rather than try to make money off of it, they’re giving it away to fans. At least at first – they’ll use it as a money-making ploy after 9 February.